Jay and Laura Stoms in Southern Africa. : "Many Thanks"
After three weeks we are now settling in nicely in South Africa. A few years back a Pastor friend asked me where I would go if I could choose where to minister. I told him how much I liked Stellenbosch so he said, ‘we’ll have to pray about that’. Well, here we are and we can hardly believe it. We are so thankful that God has given us such a beautiful setting to tell His story. Now I go to my office at Christ Church Stellenbosch while Laura home-schools our girls at our University housing. This Sunday I get to preach how the ‘story of Israel’ culminates in the ‘story of Jesus’ from Revelation 12 at Christ Church Stellenbosch. I hope to preach the ‘crucified and resurrected Christ as the ascended Lord of all’ in the context of the Biblical story. Two Sundays ago I went to an evening service geared to college students at a popular church in town. The service was more emotional than I’m used to but the real issue was how the Bible was handled. The scriptures were referred to throughout the sermon, but the verses were never explained in their context. It was all about how each verse spoke to the speaker without any connection the historical context or story. It seemed as if the Bible was merely a collection of isolated inspirational sayings so the message ended up being more about ‘me’ than about ‘Jesus’! One of the highlights of being here so far was a night out for us at a local pizza place. Our girls drew pictures of Malawi on the butcher paper table cloth while we talked with the Congolese, Zimbabwean, and Malawian employees. The face of my new Malawian friend, Paul, lit up with delight as I told him the story of God’s covenant with David and then we talked about Jesus. This thanksgiving, though we are away from home, we have much to be grateful for. We are thankful for our ministry partners and partnering churches whose prayerful support makes our ministry possible. 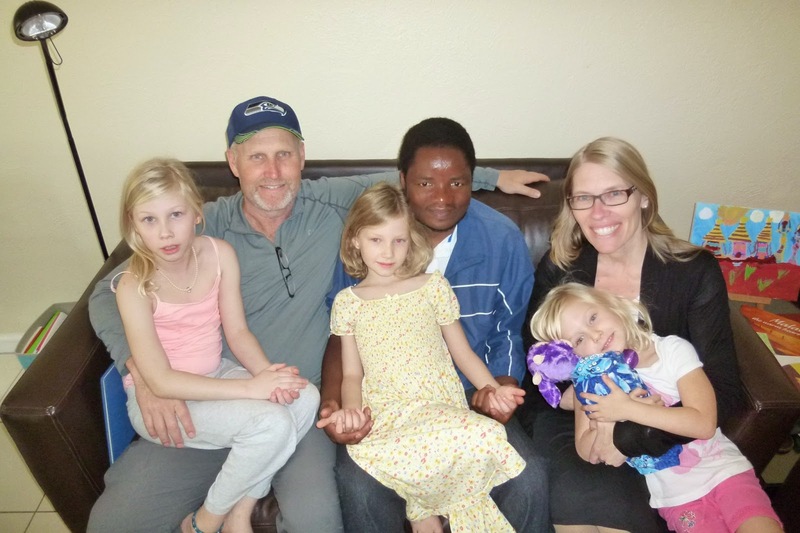 We are thankful for our new ‘home church’ in South Africa where we’ve been warmly welcomed. I am thankful to the Lord for my wife and daughters and we are grateful that Lauren’s arm is recovering nicely. Lastly, as we approach this Christmas season, we are especially thankful, ‘that the Father has sent his Son to be the Savior of the world (1 John 4:14)’. 2) For the overall health of our family as we transition in South Africa. 3) For God's guidance to help Christ Church Stellenbosch minister to International students. 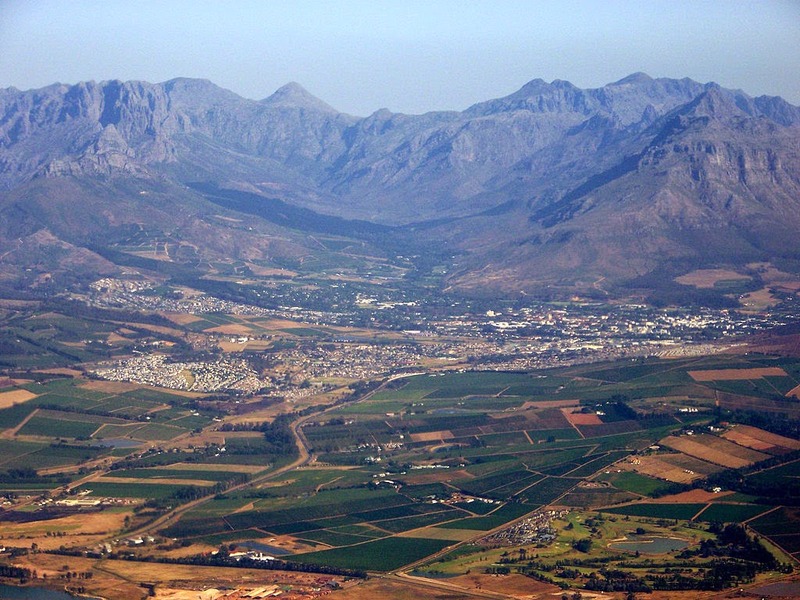 Lovely having you here with us in Stellenbosch (nicknamed, "Stellies"). You will yet be a huge blessing to those whom you are yet to come into contact with, and fellowship with. In my prayers you will be. We're here in South Africa!